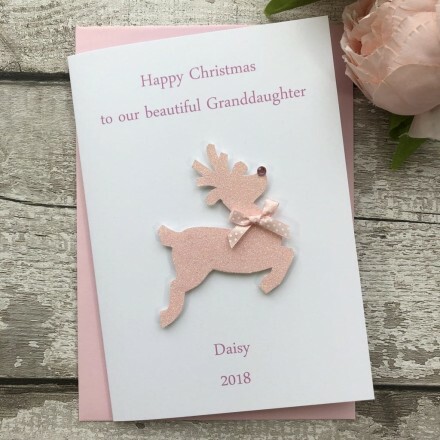 A lovely design features a cute raised sparkling reindeer, adorned with gems and a bow. Simply stunning! This handmade Christmas card with its luxuriously decadent feel is sure to stand out from the crowd.